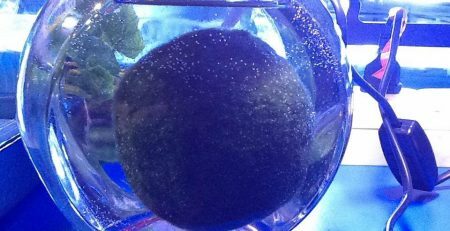 When choosing the perfect sized Marimo for your windowsill jar, one must first determine the size of the jar and then take into consideration the care and growth of the algae. Moss balls come from cold, clear water, so it is important to recreate an environment as close as possible to their natural habitat. The water must be changed regularly (preferred: once bi-weekly) and kept at 15 degrees Celsius (59 degrees Fahrenheit) to 20 degrees Celsius (68 degrees Fahrenheit). 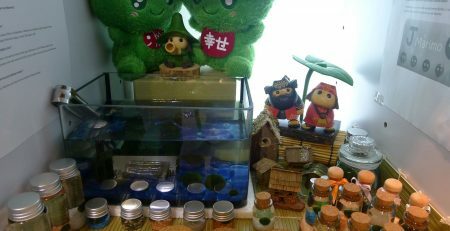 One must also keep Marimo clean and tidy. 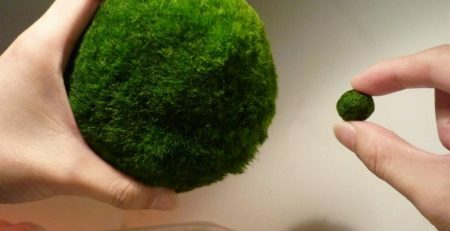 By placing the moss ball in the palm of your hand and gently rolling it back and forth, the ball-shape will stay firmly in tact. 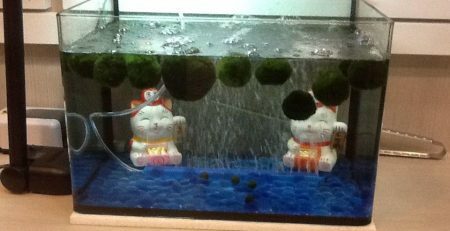 In addition, gently wash Marimo with cool water. In regards to larger moss balls, a gentle squeeze may be necessary to clear the dirty water out of the center. 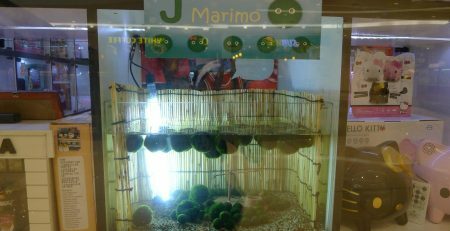 Although Marimo does not need a strong light source to grow, it does need light for photosynthesis. 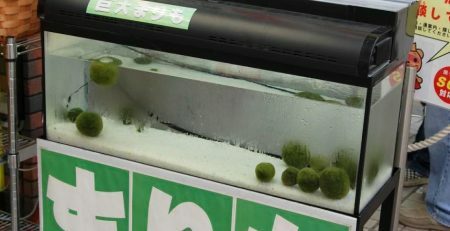 Thus growing Marimo in a windowsill jar is the perfect option. In the day when the moss balls photosynthesize, they seem to float, and then sink back down at night creating a soothing effect for the viewer. The effect resembles a natural lava lamp. 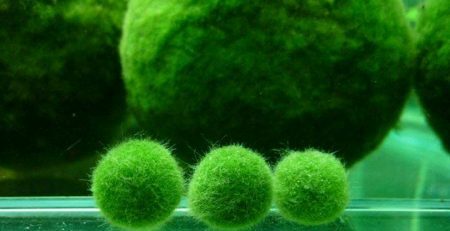 The ideal size for a Marimo moss ball is about less than 2 inches if placed with several other moss balls in one jar. The ratio between jar and Marimo must be carefully weighed. One must use discernment and gauge the future growth of the moss balls in one container. 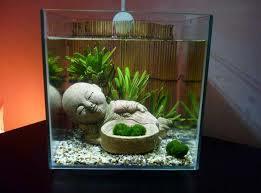 Given the right conditions, Marimo can grow to the size of a grapefruit and may need to be split into smaller pieces. Availability: Marimos are fairly rare in the wild; however, with their growing popularity as a house plant, they’re becoming steadily more available through greenhouses and professional cultivators. The Marimo is a beautiful and vivid emerald green that adds a spot of color anywhere you put it. Its super-simple upkeep makes it ideal for pretty much anyone, anywhere; it’s just at home on your kitchen counter as it is in an office or dorm room. One caveat, however: the Marimo is not a plant for the impatient; it’s not going to grow a foot a year—or ever. 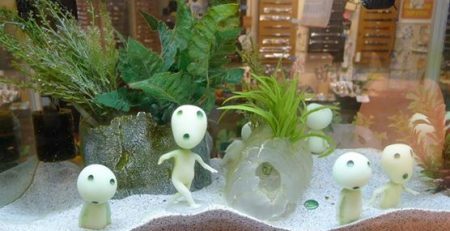 Still, these charming little green moss balls have an almost zen-like meditative quality to them; they add a bright, and at the same time, serene quality to their surroundings.